We love sandwiches and we love celebrating – so National Sandwich Day just makes sense! National Sandwich Day is getting bigger every year, and we want to honour it with a Mexican-themed sandwich that will be sure to warm you up. If you enjoy a good sandwich, then this is the day for you. While traditional sandwiches that we are used to seeing through the years are still on the favourites list, the humble sandwich has really stepped into the 21st century. National Sandwich Day is a great opportunity to honour the old and the new! The origins of the sandwich are intriguing. The very first sandwich is said to have been created by John Montagu, the 4th Earl of Sandwich. It is believed that Lord Sandwich was a keen gambler, and instead of leaving the gambling table to eat, he would order servants to bring him meat between slices of bread to keep him sustained. Today, the sandwich can range from this meat and bread combo, to a gourmet creation that is a feast for the senses. Mexican history has its own versions of the sandwich, such as Tortas and Pambazos, which is thought to have started during the very brief French Colonial period. 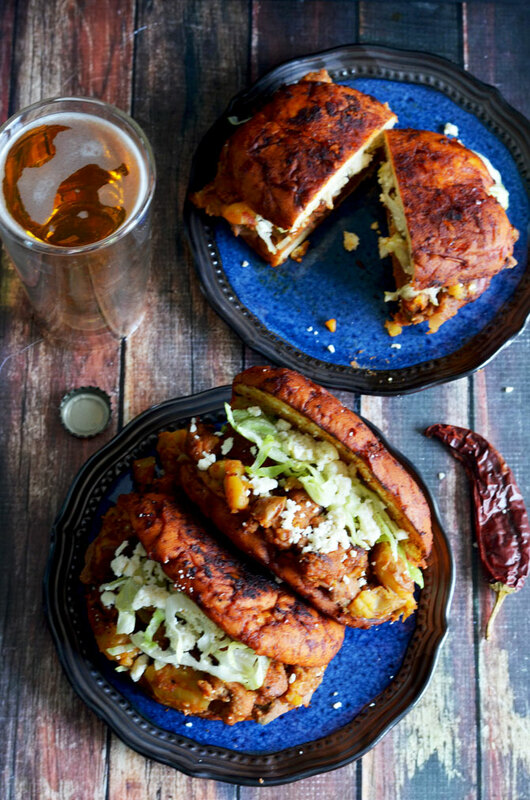 To honour National Sandwich Day, we’ve got a great Mexican Pambazos recipe to spice up your lunch. This is a traditional Mexican dish that combines hearty potatoes and chorizo with rich, spicy flavours. In a large pan over medium-high heat, add the chorizo and cook through, breaking apart with a wooden spoon as you cook (about 5 minutes). Add the onion and cook until softened. Add in the boiled potatoes and press them with the back of the wooden spoon to crush slightly. Season to taste with Himalayan pink salt. Add oil to a separate pan over medium-high heat. Dip the rolls in the Valentina Salsa Picante sauce and turn to coat well. Add two at a time to the hot skillet. Fry the rolls, pressing down gently, until browned on both sides. Remove from heat, set aside, and continue until all of the rolls have been fried. Cut the rolls open. Top with refried beans, potato and chorizo mixture, lettuce, Mexican cheese, and sour cream. Enjoy with some Indio Mexican beer!